The 2017 Emmy Awards have further proven what many of us already know to be true about style – it really is in the eyes of the beholder. Just like every other awards show, the 2017 Emmy Awards was filled with plenty of fashion hits and misses, some more severe than others. One thing can’t be denied, though: today’s hottest stars brought style to the red carpet in the form of sleek suits and beaded gowns. From newcomer Donald Glover in purple Gucci , to Milo Ventimiglia in Ralph Lauren Purple Label, the stars of the screen were on point, and there is plenty more still to come, especially when it comes to men’s elevator shoes. 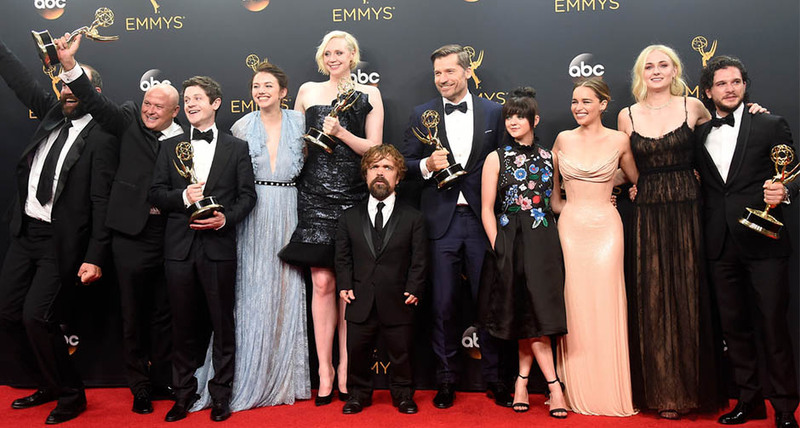 The men of the Emmys may hold larger-than-life talent, but the same can’t always be said about their stature. Many celebrities fall on the short end of the spectrum when it comes to height, which is why luxury tall shoes have grown so popular. The young stars of hit show “Stranger Things”, for example, could benefit from luxury tall shoes during their whirlwind appearances in front of the cameras. If you, too, are hoping to make a splash at your next special event, consider a pair of sleek elevator shoes to get the job done. Made from materials of the highest quality, handcrafted Italian elevator shoes are ideal for offering a boost in height as well as style. Hollywood stars have been rocking the red carpet in tall shoes for years. Why settle for a short stature when there are so many exquisite new models to choose from? Whether your personal style is classic or edgy, there’s a pair of elevator shoes for you within the newest GuidoMaggi collection. Choose from unique silhouettes, colors and textures to find the pair that’s just your style. You’ll find that our selection of elevator shoes is built with comfort in mind. From award shows, to fall weddings and a variety of special evenings in between, there is plenty to look forward to this season, and you’ll find tall shoes are a fabulous way to make a statement. Opt for a classic pair in a versatile shade like black, or think outside the box and opt for something bolder, like a pair cobalt blue shoes. When shopping GuidoMaggi, you’ll quickly find that there are endless styles to choose from, with each capable of elevating your style to entirely new heights. Shop the newest collection of tall shoes from GuidoMaggi today.